Fort Rouge Dental Group has proudly served Winnipeg's Smiles for over 65 years. Book an appointment with Fort Rouge Dental today. Hygiene and preventative services, oral cancer screenings, crowns, bridges, dentures, and more. Help restore your smile with teeth whitening, cosmetic bonding or porcelain veneers. 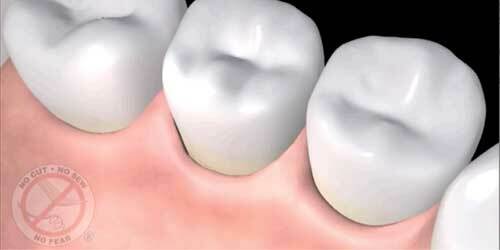 Dental implants are used to help replace a missing tooth or multiple missing teeth. Scalpel-free treatments to repair damaged and diseased gums and prevent tooth loss. We are pleased to offer laser dentistry services to patients in Winnipeg, to help restore diseased or damaged gum tissue with LANAP laser technology. Your family dentists in central Winnipeg. Caring for Winnipeg smiles since 1950. When you trust us with your smile, comprehensive dental care is only the beginning. You'll experience the warmth of a caring and friendly dental team, along with dental technology designed with your comfort in mind. At Fort Rouge Dental, we offer a wide range of services from preventative hygiene to general dentistry such as dental crowns and bridges, to restorative and even specialty services such as scalpel-free treatment for gum disease, LANAP. Come and see for yourself, we look forward to welcoming you to our dental family. 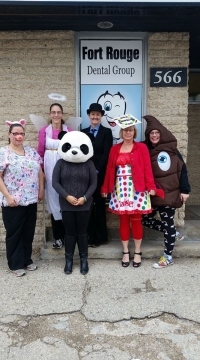 At Fort Rouge Dental Group in Winnipeg, we're all kids at heart and it's no secret that we love Halloween. Check out our team's best costumes this year! As many of you might guess, Dr. Boyko loves his cars! His other obvious passion is dentistry. 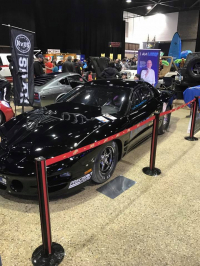 This year, he brought the two together by exhibiting at Winnipeg's World of Wheels. Schedule your appointment with Dr. Boyko, Dr. Engel or Dr. Thode today! Our doors opened in 1950. Over 65 years later, we're proud to continue serving the Winnipeg community! Book an appointment today with Fort Rouge Dental.